For most of our greatest challenges, there are no easy answers. We can become embroiled in broad discussions of policy and responsibility. But one of the biggest lessons we are learning is that we all need to join together in a commitment to be aware and be involved. In the last couple of months, my Office has highlighted two significant new programs created to help young people navigate the difficulties they face in school, at home and online. “Speak Up, Stand Up, Save a Life” is the name of one of these programs. This effort addresses the need for peers to intervene where they see someone struggling with bullying, depression, suicide, or just feeling disconnected. Often, after a tragic event, people will note tell-tale signs on social media. If you see that something is wrong, if you see that someone needs help, if you know of a potential threat. Tell someone. Help someone. You just might save a life. 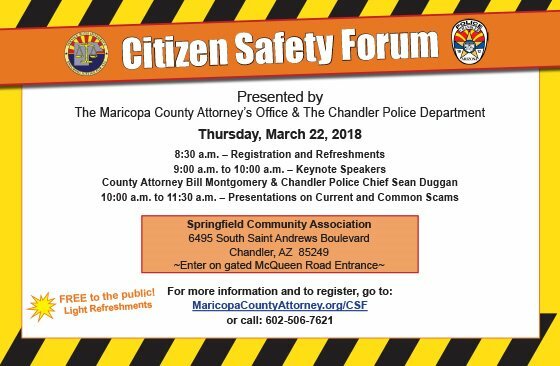 Last month, MCAO partnered with the Arizona Homicide Investigators Association to jointly sponsor the first ever Cold Case Conference. 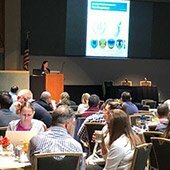 More than 170 people from law enforcement agencies throughout Arizona, and some from out of state, attended the two day conference and received an instructive look at how our Office’s Cold Case detectives and prosecutors work with law enforcement to ensure successful prosecution. We are one of the only prosecutor's offices in the nation with an in-house cold case unit, staffed with both prosecutors and detectives. We are also able to partner with other law enforcement agencies to help them with their cold cases. 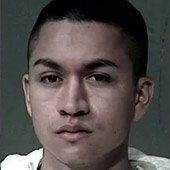 MCAO’s Cold Case Unit was established in July 2012. In 2017 alone, our Cold Case team has reviewed more than 100 cases, and solved 17. Leslie James kicked off the conference by telling attendees about how her sister’s murder went unsolved for 30 years. Her moving address demonstrated how important all unsolved cases are to the surviving families. 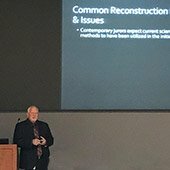 Topics presented at the conference were How to Approach a Cold Case, Strategies for Interviewing Suspects and Victims, and Recreating a Crime Scene, and some instructive case studies presented by MCAO prosecutors. As DNA and other forensic tools continue to evolve, law enforcement is able to solve crimes that are decades old and bring justice to victims. Attendees heard presentations on Familial DNA Database Searches, which can identify a suspect by matches to the DNA of a relative; DNA Phenotyping, which can generate an image of what a suspect may look like based on DNA information; and how genealogy and DNA can help identify a suspect. Representatives from lead DNA companies Thermo Fisher Scientific, Qiagen, Cybergenetics, Promega, Bode Cellmark Forensics, Sorenson Forensics and Parabon Nano Labs were on hand as well, to share what services they can provide to help law enforcement solve particularly difficult cases. The conference ended with a very moving talk given by Patty Wetterling, whose 10-year-old son was abducted, sexually assaulted and murdered in 1989 in Minnesota. Through her family’s diligence—and the hard work of law enforcement—the suspect was identified and convicted in 2016. Her personal story served as a poignant example of why investigating cold cases matters—to provide justice for victims and to help families know what happened to their loved ones. Most of us are familiar with the concept of using DNA to investigate and solve crimes. DNA can help to identify a perpetrator, or confirm that someone has committed a crime. Just as importantly, DNA can keep an innocent person from even being considered a suspect. With advances in understanding and technology, investigators don’t necessarily need to hope that their suspect is already in the FBI’s National Combined DNA Index System (CODIS). Through Familial DNA, a suspect can be found if a close relative is in the DNA database. 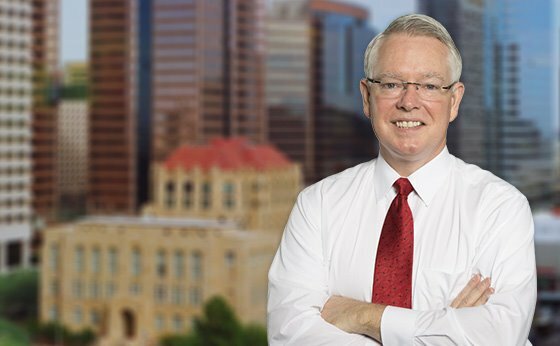 At the recent Arizona Cold Case Conference, Former Denver District Attorney Mitch Morrissey spoke about Familial DNA, which enables police to identify unknown DNA samples if the sibling, parent, or child is a known DNA profile. Familial searching is the deliberate search of a DNA database using targeted software and conducted for the sole purpose of potentially identifying close biological relatives to the unknown forensic profile obtained from crime scene evidence. Familial searching is based on the concept that first order relatives, such as siblings or parent/child relationships, will have more genetic data in common than unrelated individuals. Specifically, males within a family share the Y chromosome. Arizona’s Department of Public Safety (DPS) recently announced that its crime laboratory can now perform Familial DNA searches for cold case violent crimes. A search can be performed if requested in writing by a law enforcement agency that has an active investigation of an unsolved violent crime against a person. The agency must also affirm that all other investigative leads have been exhausted and that they are committed to following any leads provided by the results of the search. Last year more than 40,000 victims passed through the Maricopa County Attorney’s Office (MCAO) and received support and assistance from our 60 victim advocates. The advocates provided comfort, helped victims maneuver the criminal justice system and supported them with community assistance referrals and restitution claims. The Victim Services Division is one of the busiest in the Office and not only includes our advocates, but also the cuddly K-9 Victim Support Program, claims specialists, compensation experts, restitution specialists and court advocates. Victim advocates are professionals trained to support victims of crime, offering not only information but emotional support, help finding resources and even completing necessary paperwork. Advocates attend court hearings with victims and contact organizations on their behalf. Victims of crime in Maricopa County are assigned an advocate at the outset of their case to keep them informed about their case and ensure that victim’s rights are honored throughout the criminal justice process. Chief among these rights is the right to be treated with fairness, respect, and dignity and to be free from intimidation, harassment, or abuse throughout the criminal justice process. Victims are also entitled to be present at and informed of all criminal proceedings where the defendant has the right to be present, and to be heard at any proceeding involving a post-arrest release decision, a negotiated plea, or sentencing. Advocates at the Maricopa County Attorney’s Office are empathic and compassionate; they work well with all kinds of people and witness first-hand the resiliency of victims. Highly trained and experienced professionals who assist victims and families involved in cases currently in the criminal justice system, our advocates provide important emotional support, assist with social service needs and serve as liaisons with the prosecutor to provide case related information and updates. There are nine bureaus within the MCAO Victims Services Division where our advocates work: Victim Information Resource Bureau, Juvenile, Child Advocacy, Field Response Bureau, Special Victims Advocacy Bureau, Property and Financial Crimes Bureau, Community Based Advocacy Bureau, Survivor Advocacy and Support Bureau and the Victim Compensation Program. Our advocates come into the Office with Bachelor’s Degrees and Master’s Degrees and at least two years of service experience in fields like case management, corrections, social work or volunteer work. MCAO Victim Services employees, Melody Lenhart and Reem Constantine attended the Childhelp Gala in January. County Attorney Bill Montgomery and his wife, Becky, as well as Victim Services Division Chief, Shawn Cox and her husband, Steve Twist, were also in attendance. 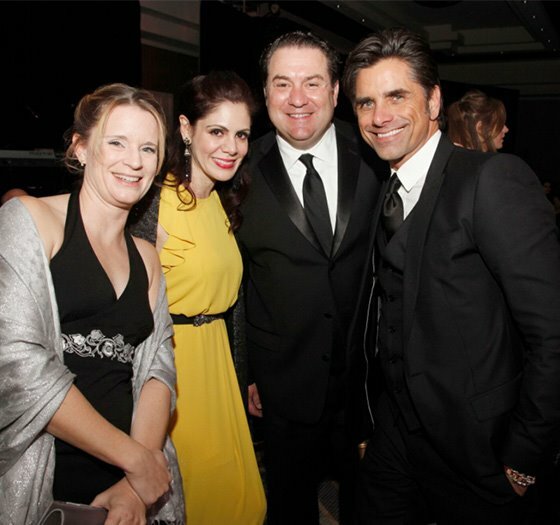 John Stamos was honored as a celebrity ambassador of Childhelp and received an award. He, along with his late mother, have worked with the organization for the last 25 years. National Consumer Protection Week is March 4–10 and we’d like to highlight a very common and growing type of scam we’re seeing in the Valley—utility scams. Someone threatening to turn off power immediately unless you purchase and pay with a prepaid card. An offer that is too good to be true, such as offering to pay the electric bill if the customer provides a cash payment in exchange for a larger credit that will be applied. Contact your utility to receive accurate information about your account. Call your utility directly using the number on your bill statement, and don’t use the number someone may provide on the phone. Go online to your utility’s website and check your account. Scammers may ask you to pay with a prepaid card. Keep in mind that most utility companies do not accept prepaid cards such as Visa or Mastercard gift cards to pay your bill. What can you do if you suspect you have been contacted by a scammer? Inform your utility. APS, SRP and Southwest Gas have joined forces with Utilities United Against Scams (UUAS), a group made up of more than 100 companies and partners across North America to help fight the increasing number of scams targeting utility customers. This coalition works to educate customers, as well as helping assist in the reporting and ending of these scam attempts. With several companies working together, the UUAS has successfully shut-down hundreds of toll-free numbers this past year, protecting consumers across the country. Go to the Federal Trade Commission website at ftc.gov to guide you through next steps and file a report. 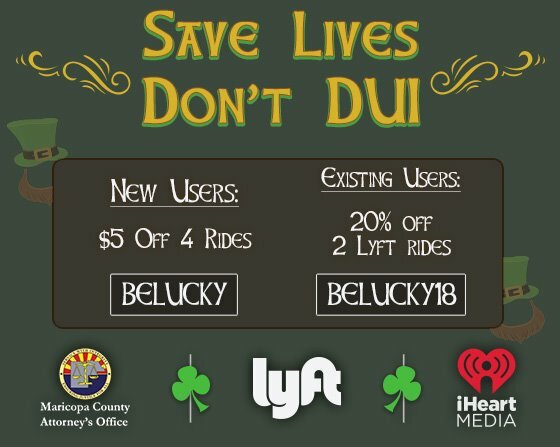 The Maricopa County Attorney’s Office is partnering once again with iHeart Media and Lyft to provide an incentive for revelers to take a safe ride this Saint Patrick’s Day holiday. The codes offered will be available beginning March 10 and running through March 18. This continues to be a valuable community program, with participation growing each year. A record 18,523 rides were taken using discount codes offered during MCAO’s holiday campaign that ran throughout the month of December. In January, a notice of settlement was filed with the U.S. District Court for Arizona, concluding the June 2014 lawsuit filed by the ACLU on behalf of Puente Arizona against Maricopa County Attorney Bill Montgomery, former Maricopa County Sheriff Joe Arpaio, Maricopa County, and the State of Arizona. The suit alleged that federal regulation of immigration preempts state enforcement against identity theft in the employment context. It was brought by groups representing two plaintiffs who were unauthorized aliens convicted of identity theft felonies in Arizona for using another’s identifying information for employment purposes. In ruling on the parties’ summary judgment motions, the district court held that plaintiffs failed in their equal protection claim because the state identity theft laws were enacted for the legitimate state purpose of protecting against the harms of identity theft. Ironically, while purporting to have sued on behalf of Hispanic defendants, the ACLU’s lawsuit actually targeted Hispanic victims of Identity Theft. The district court also ruled that MCAO lawfully prosecutes persons who use another’s identifying information on employment applications, tax withholding forms and other types of non-I-9 employment documents. In addition, the district court rejected plaintiffs’ request for entry of a permanent injunction against the County Attorney/MCAO, and it denied plaintiffs’ request for expungement of the felony identity theft convictions of the two plaintiffs who brought the lawsuit. The plaintiffs prevailed only in their limited argument that a federal I-9 Form cannot be used to investigate or prosecute identity theft in an employment context. However, in September 2014, only a few months after service of the lawsuit, MCAO under Montgomery had already revised policies pertaining to prosecution of identity theft or forgery cases to prohibit reliance on an I-9 Form as evidence for charging or trial purposes. The district court found that MCAO had not relied on the I-9 Form in 90 percent of the identify theft/forgery cases at issue. Per the parties’ settlement, no further appeals will be taken by plaintiffs or defendants. The county defendants will pay a settlement sum comprised of the plaintiffs’ reduced attorney’s fees and expenses. Although the U.S. District Court granted summary judgment denying the overwhelming majority of the plaintiff’s claims, it is a requirement under federal civil rights statutes that the defendant pays fees if the plaintiff prevails in any part. This resolution also sends a clear signal to the ACLU that their past formula of pandering to local ethnic advocacy groups and seeking to misuse the federal judiciary for the ACLU's misguided policy proposals has come to an end. 4:30 a.m. – 7:00 p.m.
6:00 a.m. – 12:00 p.m.
On February 14, 2018 Jesus Busso-Estopellan was found guilty by a jury of two counts of 1st degree murder and one count of misconduct involving weapons in connection to the 2011 shooting of 18-year-old Tyler Webster and 19-year-old Olek Wladyszewski. On June 29, 2011 Webster was able to call 911 alerting officers that he had been shot in the head while he sat in the passenger seat of his car. The driver Wladyszewski, had also been shot in the head and died at the scene. Investigators were soon able to link Busso-Estopellan through text messages to the shooting. Wladyszewski had been communicating with the defendant minutes before the murders about meeting in the area.